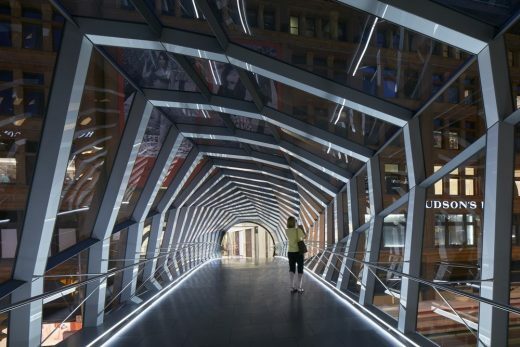 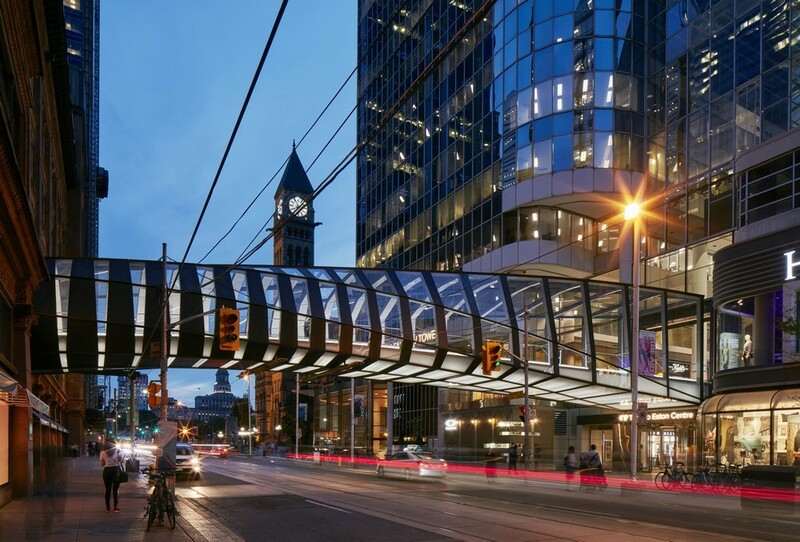 14th December 2018 – The lighting design for the CF Toronto Eaton Centre Bridge focuses on the dual aspects of creating a powerful after dark identity, while also creating a memorable experience of the journey between the architecturally contrasting buildings it links. 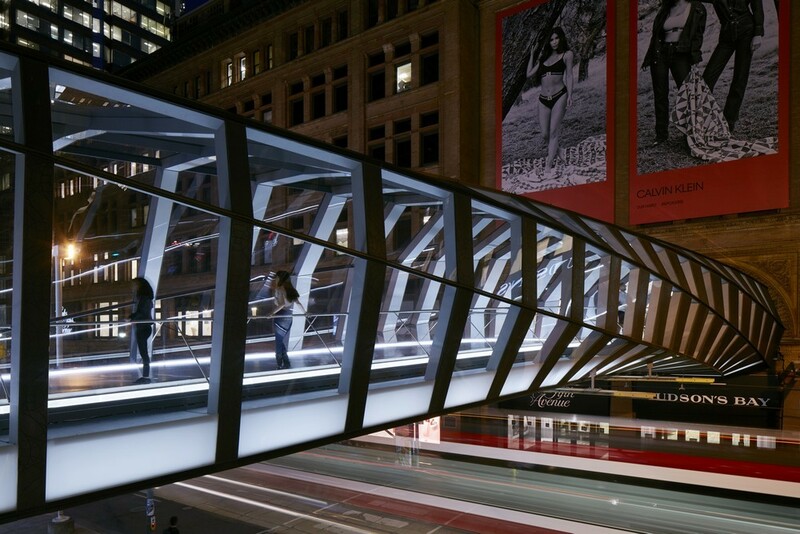 Walking onto the bridge, pedestrians are enveloped in a warm glow. Lighting integrated into the deck enhances the torque and twist of the bridge’s surfaces and joints lines in a simple and apparently effortless reveal of the unique geometry. 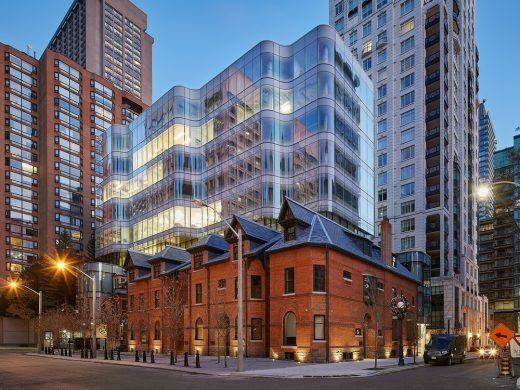 As the proportion of glazing increases near the modern Eaton Centre, glow from the soft frit to the glass helps to soften and balance the effect of this transition from opaque (heritage) to transparent (modern). A very soft line of light to the deck encourages movement through the space without competing with the architectural forms. 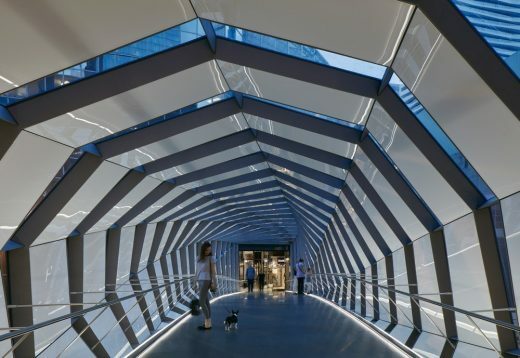 Although technically challenging, the light has a beautiful simplicity that contributes to the character of the city, clear wayfinding and functional light levels. 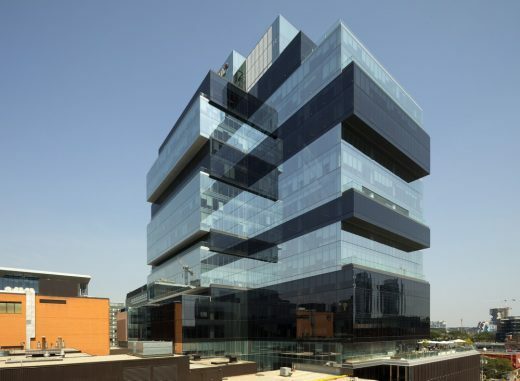 The project was characterised by a high level of design team collaboration on the choice of surface textures, along with innovative siting details that help to conceal the sources of light. 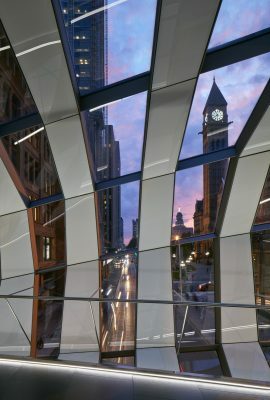 The result preserves the clean lines of the architecture and contributes a genuine sense of magic to the pedestrian experience. Speirs + Major is an award winning design practice that uses light to enhance the experience of the visual environment. 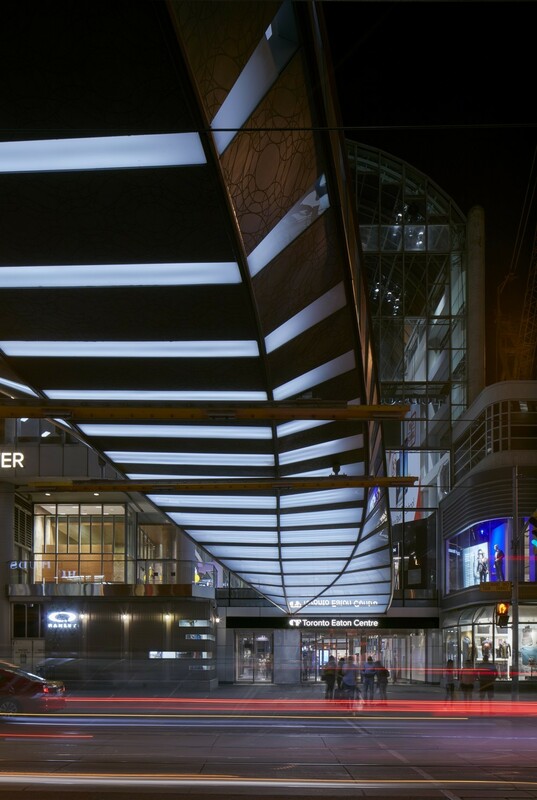 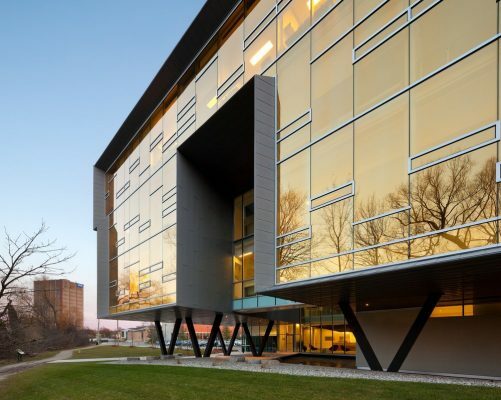 Our work is wide-ranging in terms of type and scale and encompasses lighting for architecture, strategic branding and innovative product design.